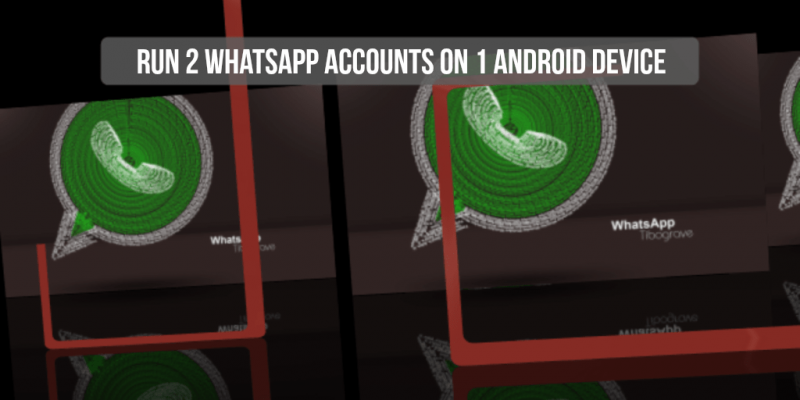 There is a multitude of modded apps that let you run a second WhatsApp account within the confines of the same Android device. While some require users to have a rooted device and be more or less tech savvy, others are somewhat shady to want to deal with, especially if you don’t trust third-party app stores. There is a much simpler and, most importantly, legitimate way of running two WhatsApp instances on the same Android device – most tablets (while phones need to have Lollipop and later). Have you guessed already? Exactly, all you need to do to run a second WhatsApp account on your device is to add another user. Android tablets had this feature added long ago while smartphones received it with the advent of Lollipop. If you are wondering how you can run WhatsApp on a tablet, it’s simple as a child’s play. But let’s get things cleared one by one. If you updated to Android Lollipop, or Marshmallow, you can easily add a second user profile to your smartphone. This way you can legitimately install a new instance of WhatsApp from that second profile, and register it to a different phone number. This works great for dual SIM phones, and tablets running Android JellyBean and later. Go to Settings → Users → Add User. Choose whether you want a regular account, in which case a new user can use the tablet in unrestricted mode, but without the access to your content. Or, you could choose a Restricted profile, in which case you get to choose which apps a second user gets to use. In this case, however, since we’re talking about the same user adding the account for the sake of running another instance of WhatsApp, you can opt in for a regular account. Create a new user account as you normally would with a brand-new tablet by providing a Google email, name and such. Open a new user account. You can do that by pulling down the notification bar and tapping on the new user icon, or by locking the device and unlocking it. The lock screen will have two user icons on it. When you are inside a new user account, you get the UI of a brand new device with just the stock apps and default settings. The procedure is identical in Android tablets. Now all you have to do is launch Google Play and install a legitimate WhatsApp app in your new account. If you are trying to install it on a tablet, and Google Play says your device is incompatible with the app, just head over to the official WhatsApp website and download the latest apk file from there. To install it, first you need to enable the permission to install apps from unknown sources. To do that, go to Settings → Security → enable Unknown Sources. Now, all you have to do is tap on the downloaded WhatsApp apk file in your downloads folder and install it. If you are installing it on a tablet or single SIM phone, and need to verify your phone number, just opt in to receiving a text message with a verification link. The SMS WhatsApp sends to your phone contains a web link. You can type it manually in your default browser on a tablet, or phone where you want to verify it. Once your default browser opens the link you just received in your SMS, the app “recognizes” your account. Voilà! You can start using your second WhatsApp account without rooting your device, or resorting to modded apps. Note 1: you can backup all your WhatsApp chat from your old device and restore it on a new device by uploading the data to your Google account and importing it from there. See more details in this guide. Note 2: depending on your hardware capacities, you may want to restrict that second user account to WhatsApp only, in order to avoid the unnecessary clogging of your device’s RAM, storage, and draining power excessively. In other words, a device that runs buttery smooth with one user account may occasionally display unwanted slow or freeze when you add too many resource-hungry apps to the second account. So, experiment and see it for yourself the optimal load-out your device can carry. Note 3: in case you don’t enjoy the experience, you can easily delete that second account from your device. To do that, switch back to your primary account, go to Settings → Users → select the second user and tap the Recycle Bin icon → confirm the selection. This effectively removes all the apps you installed under your second account. That’s it, hope this solves your woes. Feel free to share your experience or ask questions in the comments below, and don’t forget to follow PocketMeta in social networks for the latest Android, iOS and Windows Phone guides, apps and games reviews and strategies. Image: the WhatsApp logo used in our featured image is by Anwardes.